I’m so honored that this family returned for the second year in a row to have some family photos taken by me. I’ve known Dad for many years and to get to see his boys growing and capture this precious family is such a delight. They are just your all around genuinely sweet foursome and it was great to photograph them with the rich textured, urban backdrop of Downtown Littleton for this season’s session. I know I love to look back at prior years and see how much my boy has changed, because kids grow so fast. Having your family get together for a photo session is an experience and creates a memory. I’d be thrilled to partner with you to capture some of those changing moments as you make memories through the years with your family. 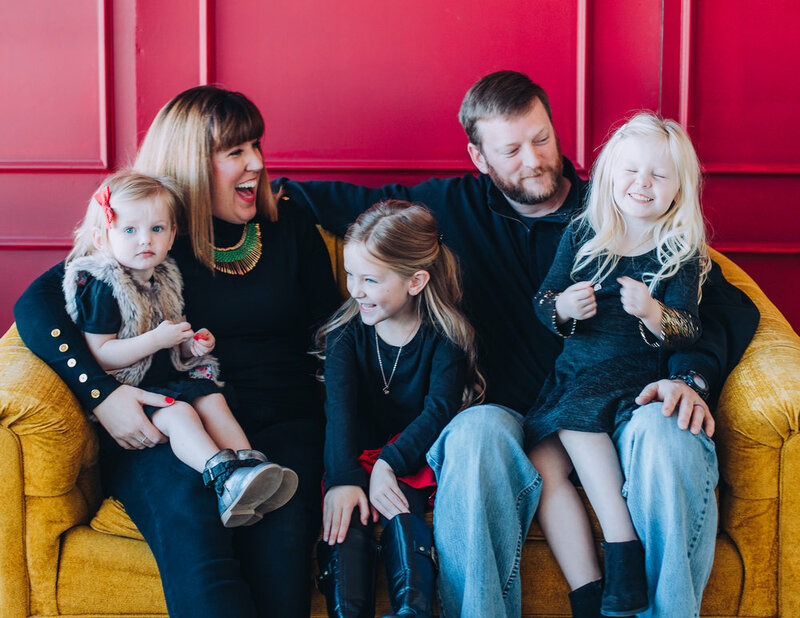 Oh what fun it was to snap these families and my own little elf for my Holiday Minis session at Denver Photo Collective studio last weekend! I just adore the styled red gift inspired holiday set that the creatives at the studio put together for photographers to get to use with our families. It was an absolute whirlwind joy shooting my son and having a fellow photog friend snap a few of us and then photographing children and their families for an afternoon. I even photographed one family while still wearing my gnome jammies, and they were more than gracious allowing me to do so. Ha! 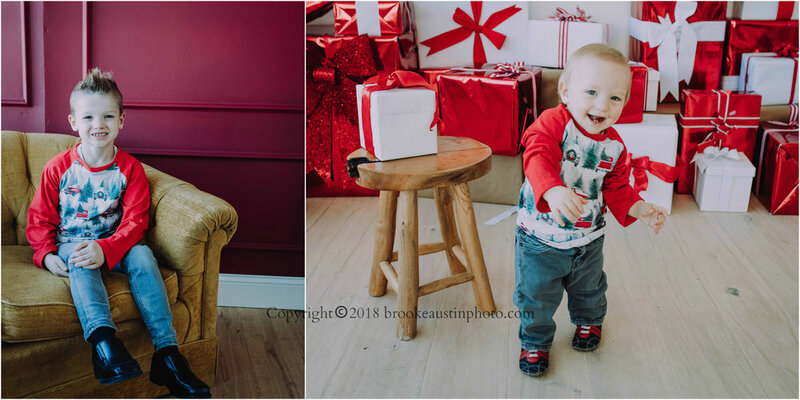 Here’s a peek at some of my favorite captures of these wonderfully gorgeous, flexible and cheery friends who treated themselves to some holiday fun with Brooke Austin Photo. Miss out on Holiday Minis this year? Don’t you fret. While I don’t have much time to squeeze in anymore Holiday shoots this season, you’re in luck! My Small Business Saturday Gift Certificate SALE is happening right now! Save Big! $50 OFF of my regular session pricing! You can snag a Certificate for yourself or for gift giving and they can be used in the New Year. I am booking sessions for 2019, January through May! Family photos can be done anytime of year and it’s never a bad time to capture those updated head shots, children’s portraits or get high school senior pictures checked off the to-do list. Looking forward to photographing you! I loved meeting this family for the first time earlier this month! They were referred to me by other photo client/friends of mine and Mom reached out to me hoping for an outdoorsy setting shoot. I am so grateful for clients who share about my work and their experience or reviews of doing shoots with Brooke Austin Photo. Your family photos are my art, my creative outlet and my passion work. Word of mouth growth is a significant and appreciated piece of my small business. 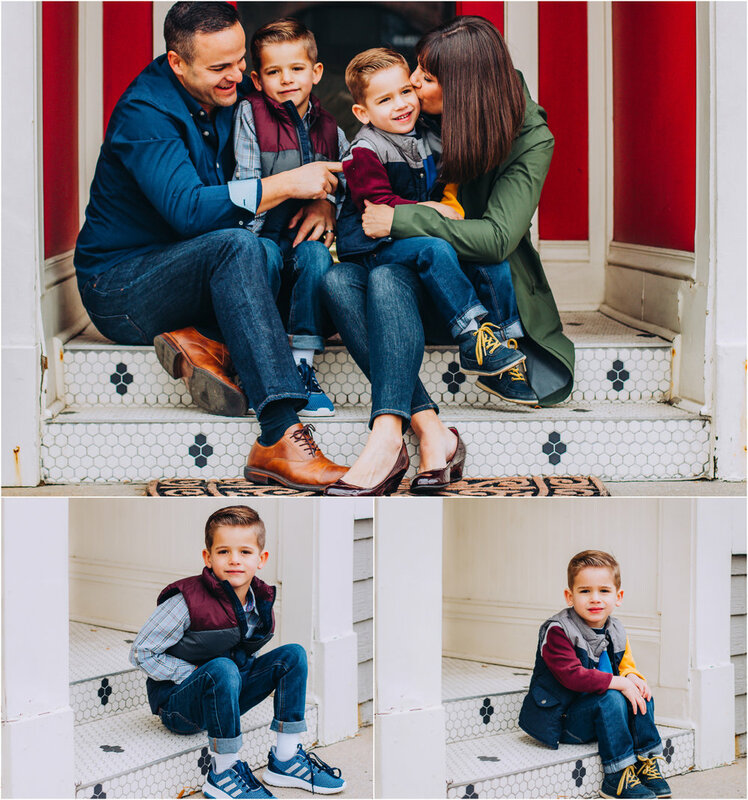 The G family were troopers as it was a bit chilly for our mini session, but they were super cooperative and the kiddos were absolute photogenic gems! They kept me on my toes and kept me smiling and giggling with their energy the whole session. I feel like I could photograph children all day, everyday! 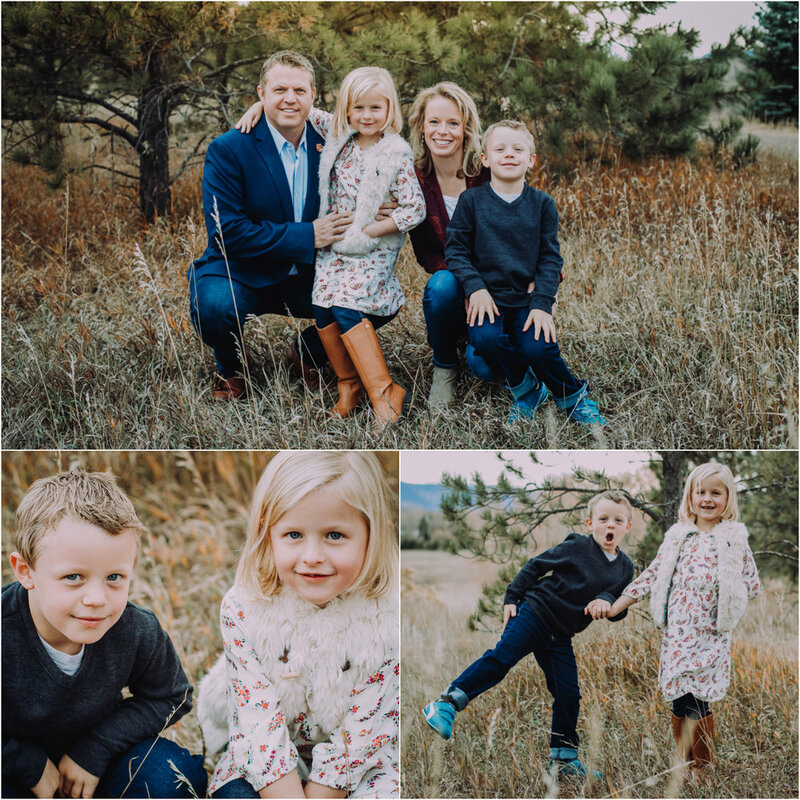 Thank you for a sweet opportunity to capture your family in this rustic Colorado setting. Follow along on Facebook or my Instagram feed for updates and more photography! Want to book your own creative portrait session? Contact Denver photographer, Brooke Austin here. Lakewood, Colorado Photographer, Brooke Austin, enjoys family, child, couples, pets, head shots & other creative photo sessions in the Lakewood, Littleton and surrounding Denver, Colorado area.